Opisthorchiasis is an infection caused by either of the two parasite worms, the cat liver fluke, or scientifically called Opisthorchis felineus (also known as Opisthorchis tenuicollis), or the Southeast Asian liver fluke (called as Opisthorchis viverrini). The term “fluke” means flatfish, since these parasites are flat. Opisthorchis viverrini is the only parasite that causes Opisthorchiasis in the heavily infected area of Thailand. The first case of Opisthorchiasis in Thailand was discovered in 1911 through autopsy. Opisthorchiasis is prevalent where raw cyprinid fishes are a staple of the diet. Prevalence rises with age; children under the age of 5 years are rarely infected by Opisthorchis viverrini. 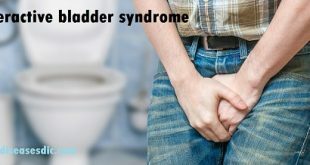 Males may be affected more than females. The WHO estimates that foodborne trematodiases (infection by worms or “flukes”, mainly Clonorchis, Opisthorchis, Fasciola and Paragonimus species) affect 56 million people worldwide and 750 million are at risk of infection. Eighty million are at risk of opisthorchiasis, 67 million from infection with Opisthorchis viverrini in Southeast Asia and 13 million from Opisthorchis felineus in Kazakhstan, Russia including Siberia, and Ukraine. In the lower Mekong River basin, the disease is highly endemic, and more so in lowlands, with a prevalence up to 60% in some areas of northeast Thailand. However, estimates using newer polymerase chain reaction-based diagnostic techniques indicate that prevalence is probably grossly underestimated. In one study from the 1980s, a prevalence of over 90% was found in persons greater than 10 years old in a small village near Khon Kaen in northeast Thailand in the region known as Isaan. Sporadic cases have been reported in case reports from Malaysia, Singapore, and the Philippines. Although overall prevalence declined after initial surveys in the 1950s, increases since the 1990s in some areas seem associated with large increases in aquaculture. People who eat freshwater fish that is raw, undercooked, pickled, or unprocessed (even if imported), containing the parasitic worms are at a high risk of contracting Opisthorchiasis. The adult flukes deposit fully developed eggs that are passed in the feces. The adult flukes (O. viverrini: 5 mm to 10 mm by 1 mm to 2 mm; O. felineus: 7 mm to 12 mm by 2 mm to 3 mm) reside in the biliary and pancreatic ducts of the mammalian host, where they attach to the mucosa. 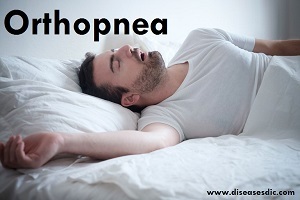 Most individuals infected with Opisthorchiasis do not present any symptoms. Individuals infected for a long time (chronic) may get serious illness. A long-standing inflammation or re-infection of the bile ducts could lead to scarring of the bile duct, and inflammation of the liver. Researchers believe that O. viverrini (Southeast Asian liver fluke) can cause cholangiocarcinoma, especially in the presence of dietary nitrosamines (which is used as a preservative). Freezing fish intended for raw consumption. Use of molluscicides is the most frequent public health intervention, as it prevents the transmission of many other trematodes, including Schistosoma spp. Treatment of animals to reduce the reservoir and stock losses has been used. Next Hypocobalaminemia or Vitamin B12 deficiency: Complications and Treatment. 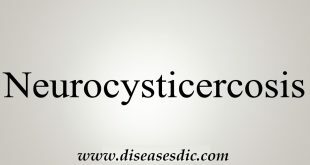 Neurocysticercosis – Causes, Diagnosis, and Treatment. Schistosomiasis or Bilharzia – Definition, Causes, and Treatment. 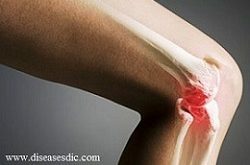 Osteomyelitis – Introduction, Complications, and Diagnosis. 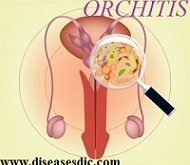 Orchitis – Introduction, Causes, Symptoms and Diagnosis.